Large (12-13) - $44.99 Only 3 left! If you plan to wear them for more than an hour don’t waste your time or money....the heel on the left boot starting breaking off after 1 hour , by the end of the night the heel was gone......and very un-comfortable for more than an hour of use.....???????? 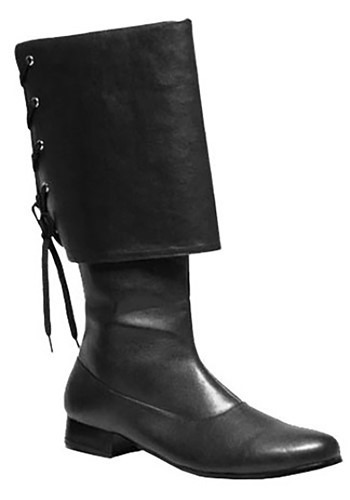 I bought these boots for a cosplay. They fit well if you go up one size to give you some wiggleroom. I wore these boots for 2 days walking around a hotel convention center, out on concrete patio, tiled and rugged surfaces and after the two days the plate broke off, with no warning until after the fact when I took the boots off.It looks like I will need to purchase new heel plates and some heavy duty barge/glue. to repair the boots. I recommend these boots if you don't plan on wearing for any extended period of time on hard surfaces.